A fantastic alpine hike with a short approach from the city - this is a mountaineer’s dream. 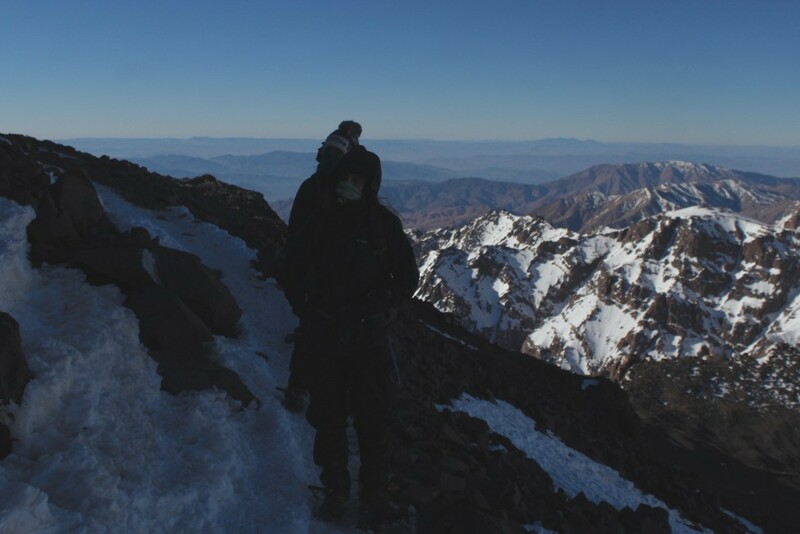 Summit the highest peak in North Africa and the Arab world because It doesn’t get any better than this. 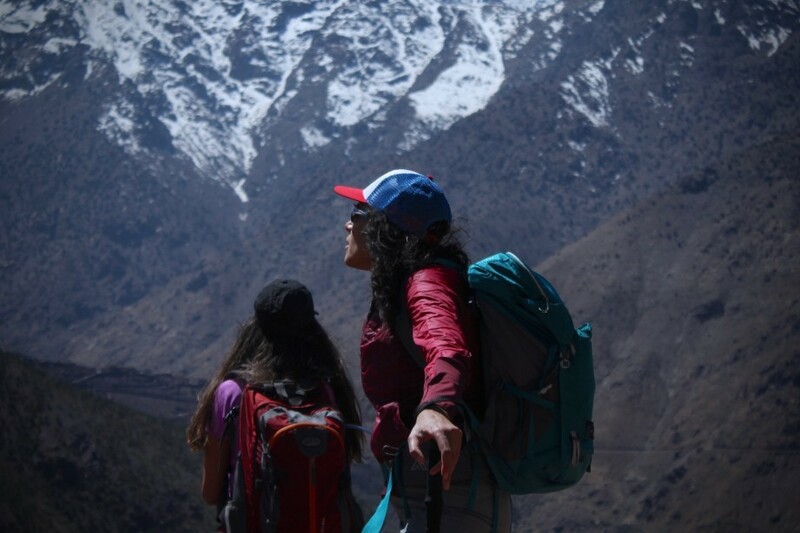 Get up and close with Morocco’s unique Berber culture and this is what really brings the trip together. Oh and don't get us started on the food, people lose weight on expeditions but don’t expect that here. 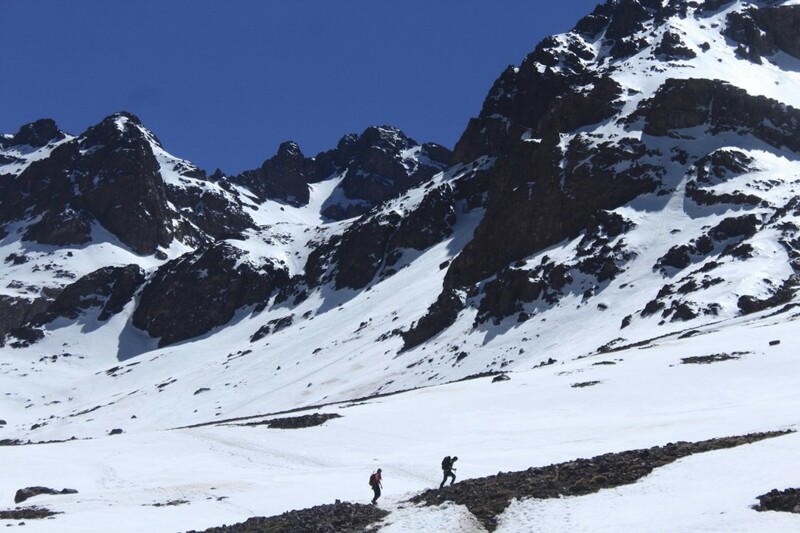 If you want a step up from the average hike and want a new challenge, then Toubkal is for you. 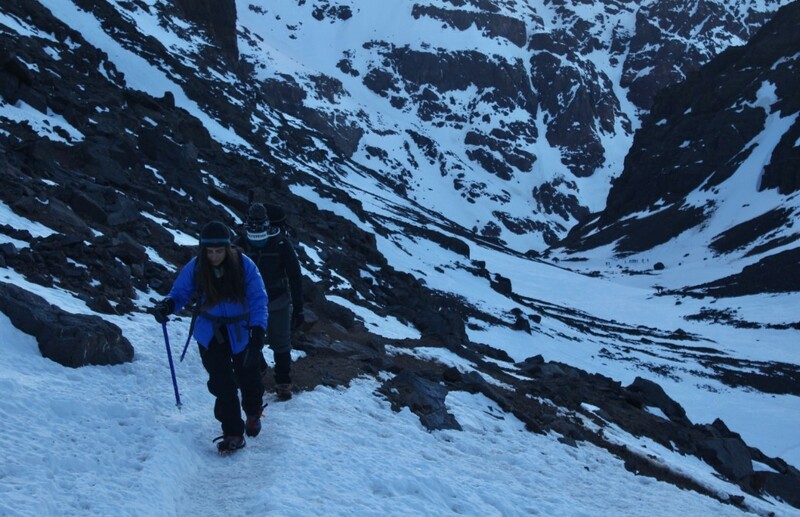 A great start for beginners but enjoyable for experienced mountaineers as well. 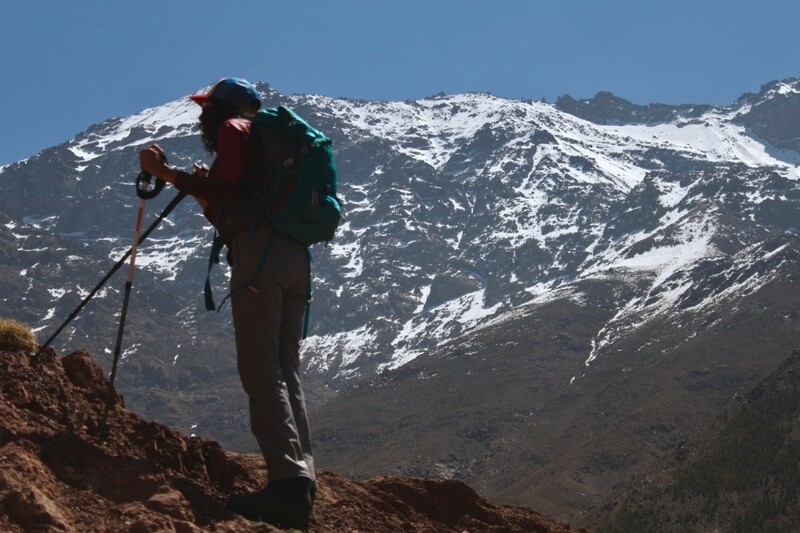 Toubkal has a little something to offer for everyone. 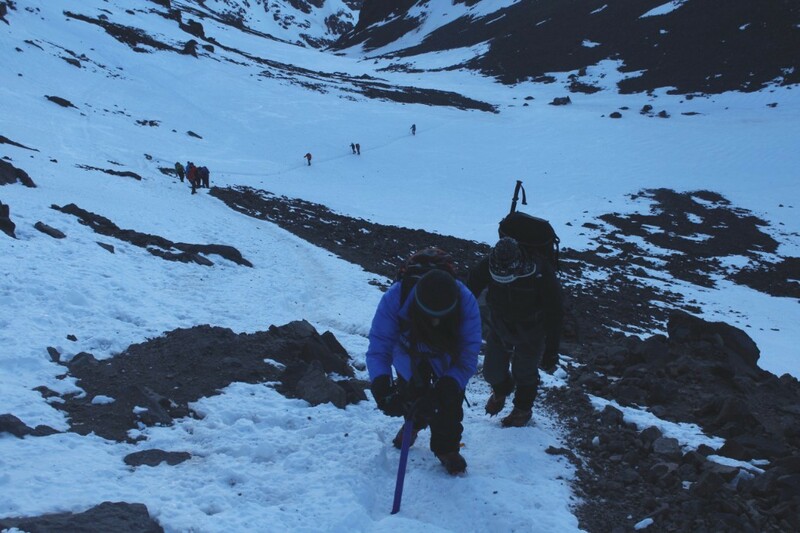 Once you’ve successfully completed this climb, you will have gained the necessary experience to climb on Mt. 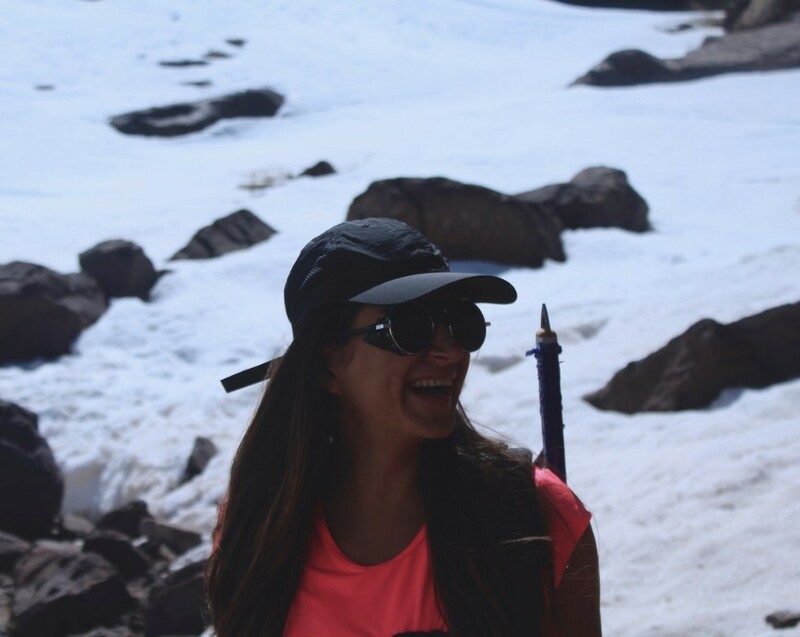 Elbrus, Mt. 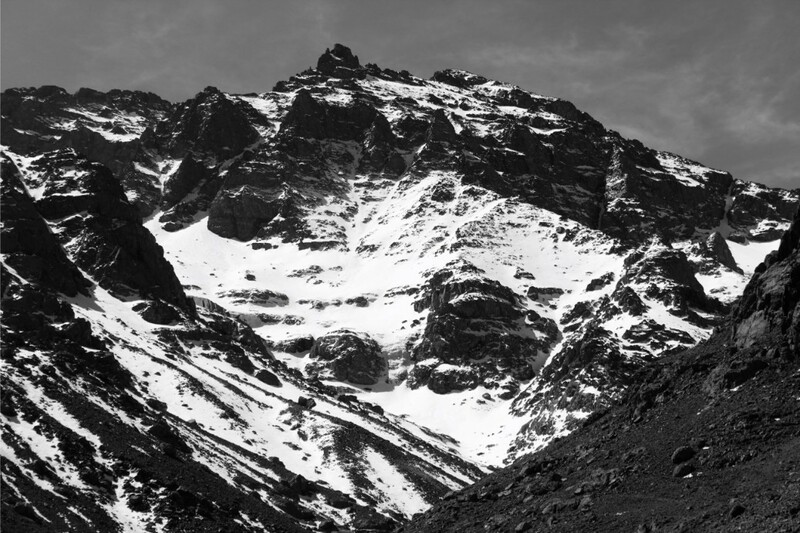 Stanley, Island Peak, Gran Paradiso, and Stok Kangri. Now that we’ve arrived in Morocco, we’ll be transferred to our first night’s accommodation in Marrakesh at a charming Moroccan Riad. Even today, the name Marrakesh conjures up images of scenes from Arabian Nights, with its busy souks and twisting alleyways. This remarkable city, dating back to the 11th century, never fails to satisfy the curiosity of adventurous travelers. It has everything, from the graceful architecture of the Koutoubia Minaret, which dominates the skyline, to the throbbing atmosphere of a medieval fair in the great open square, the Djemaa el-Fna, at the heart of the medina. 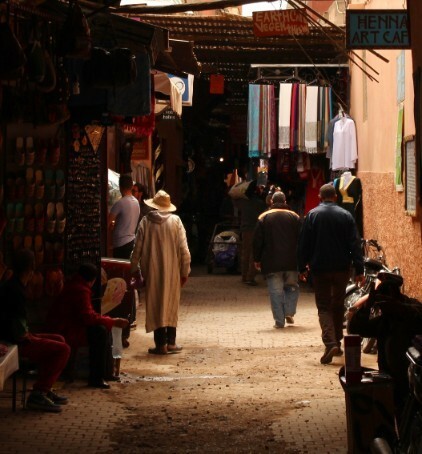 We leave Marrakech and drive across the plains towards Tahanaoute, an ancient marketplace on the edge of the mountains. 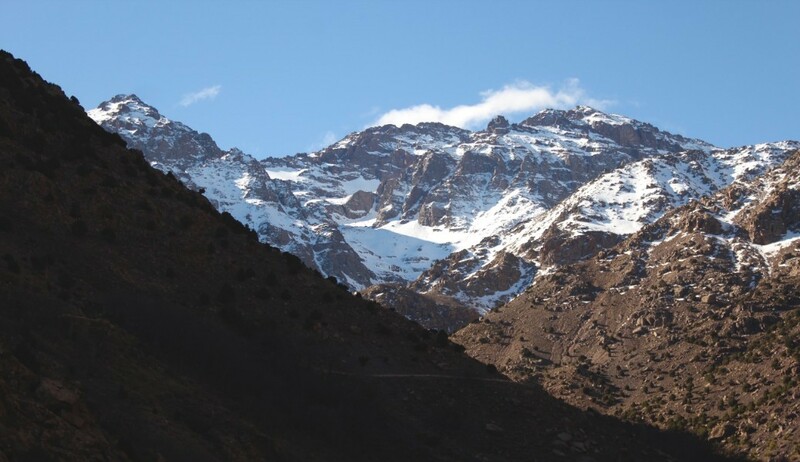 The landscape changes as the plains gradually give way to the mountains, with the impressive snow-covered peaks of the High Atlas looming in front of us. 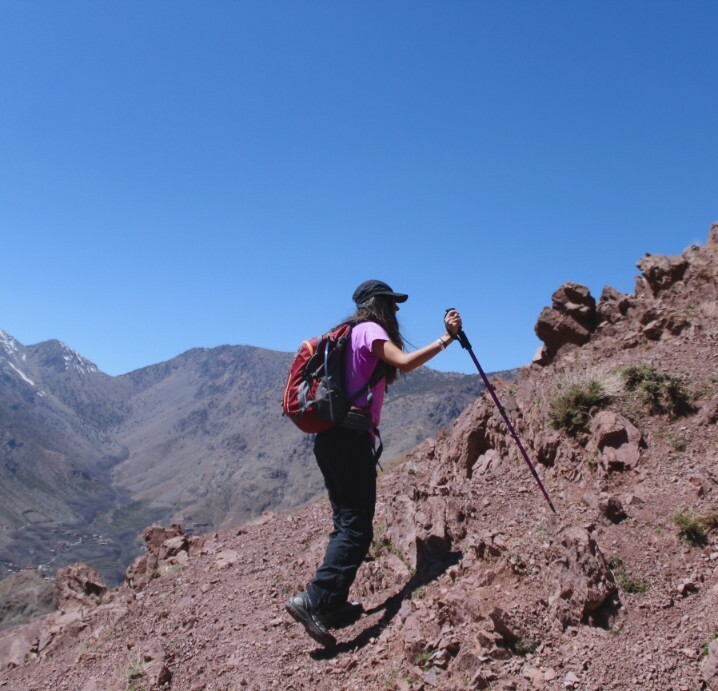 Following the road right to its end, we arrive in the village of Imlil at 1,740 m. We’ll be spending the night in a traditional Riad in Imlil. 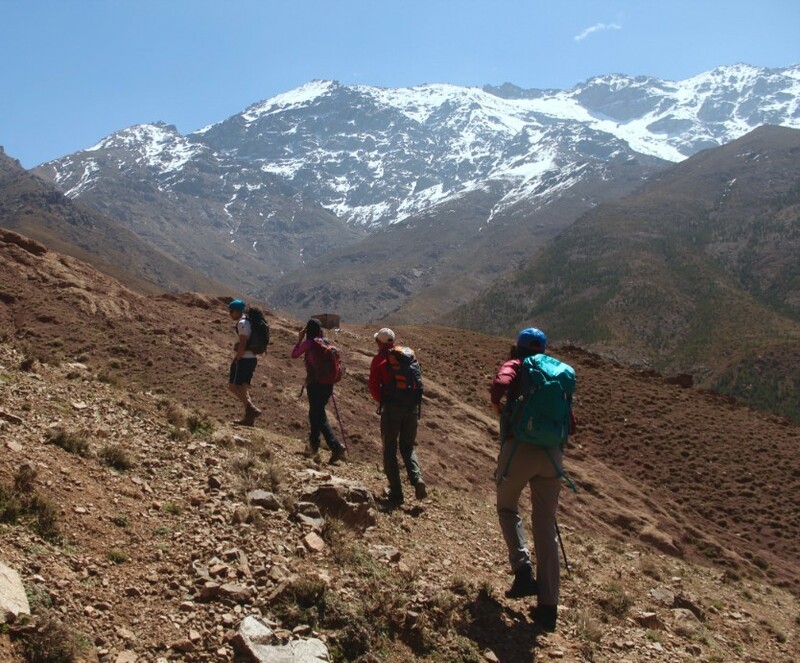 Optional: three-hour afternoon walk for acclimatization around Berber villages and waterfalls. Today we meet the mule handlers and the mules before beginning our climb up to the Neltner refuge. 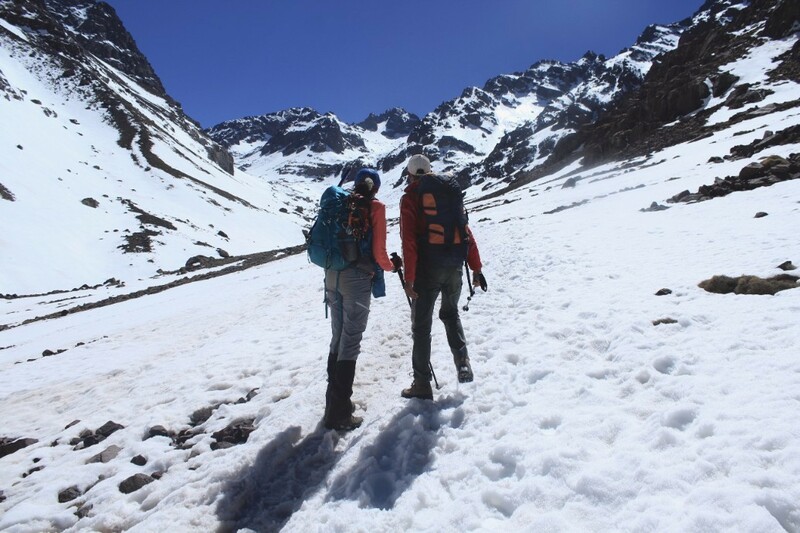 All baggage and provisions are carried by mules – the multipurpose all-terrain vehicles of the mountains. 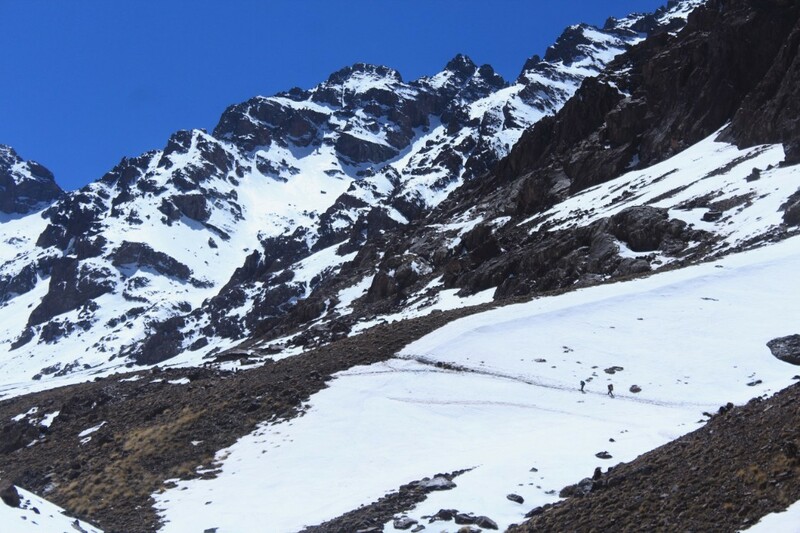 Yet, even these incredible animals have their limits and, if snow conditions prevent them from going further, then porters will be used. From Aremd, the trail leads past orchards, up the floodplain of the Mizane Valley, climbing steeply as it zigzags up the mountainside. 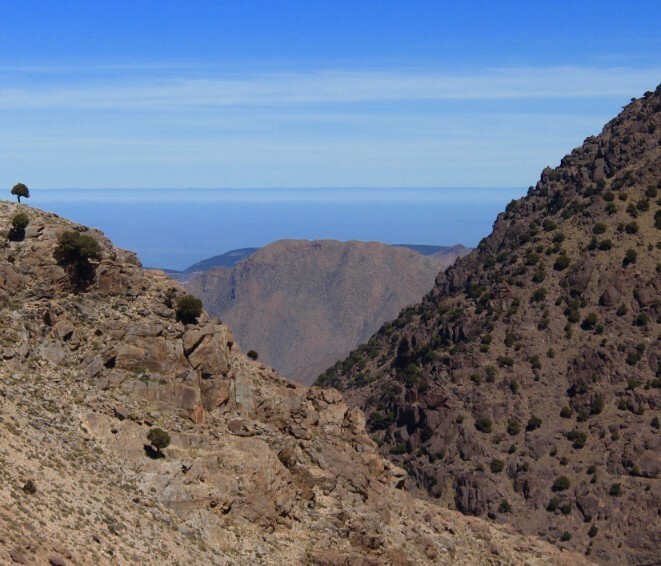 Along the way, we reach Sidi Chamharouch (2310m), a place of pilgrimage for Moroccans who come to the tomb of the local marabout (Muslim holy man). We can only see the shrine from across the gorge, as it’s forbidden for non-Muslims to cross the bridge to the other side. Beyond here, the trail climbs steeply through a series of switchbacks, traversing the flank of the valley high above the river. 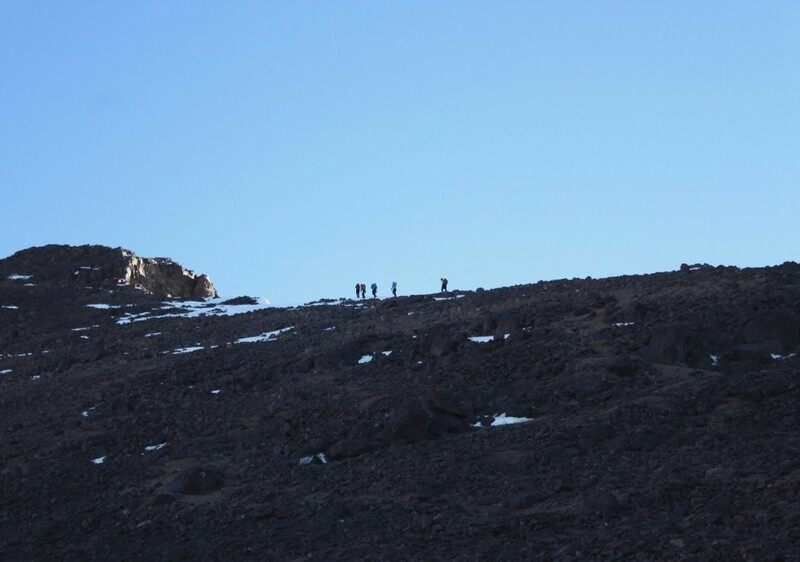 At some point, we may hit the snowline – where it will be time for us to don our crampons – before arriving at the Toubkal base camp at Neltner at 3,207 m. Once we’re settled in, we will receive a briefing on winter walking and an introduction on how to use our crampons and ice axe, as well as basic snow survival skills. Today involves approximately 4-5 hours of walking. 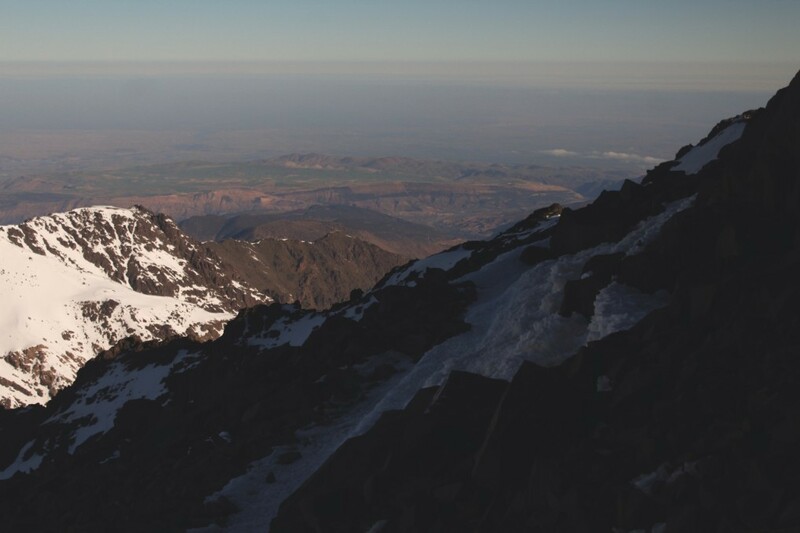 Early this morning, we set off for the summit of North Africa’s highest peak – Jebel Toubkal, at 4,167 m; the goal of many mountain walkers who visit the High Atlas. 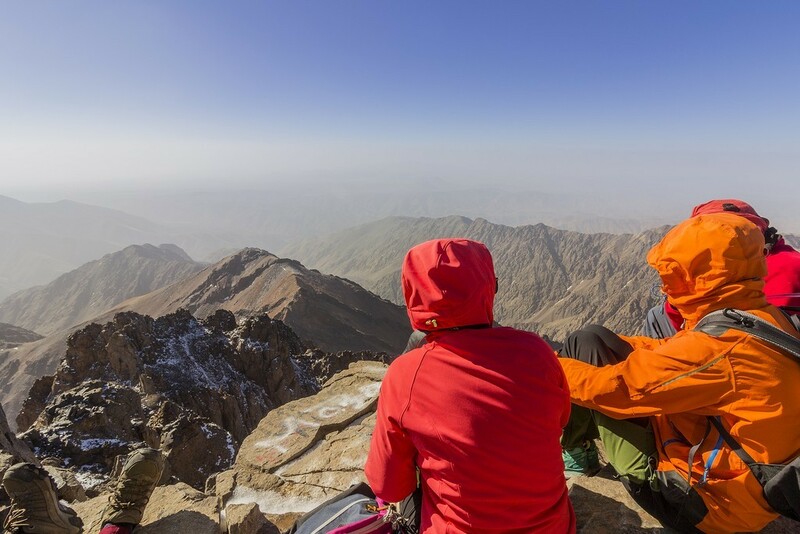 There is a steep final climb that may involve some scrambling, but the effort is rewarded by superb views from the summit of the Atlas range. On a clear day, it’s even possible to make out the hazy outline of the Atlantic coast to the west, and the sands of the Sahara Desert to the east. 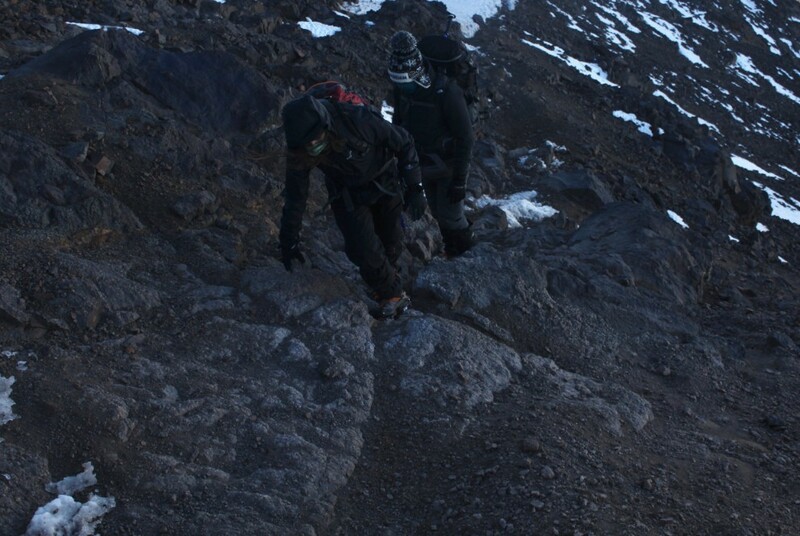 After resting on the summit, we make our way back to Neltner. Today involves approximately 6 to 8 hours of walking, 5 of which are ascent. 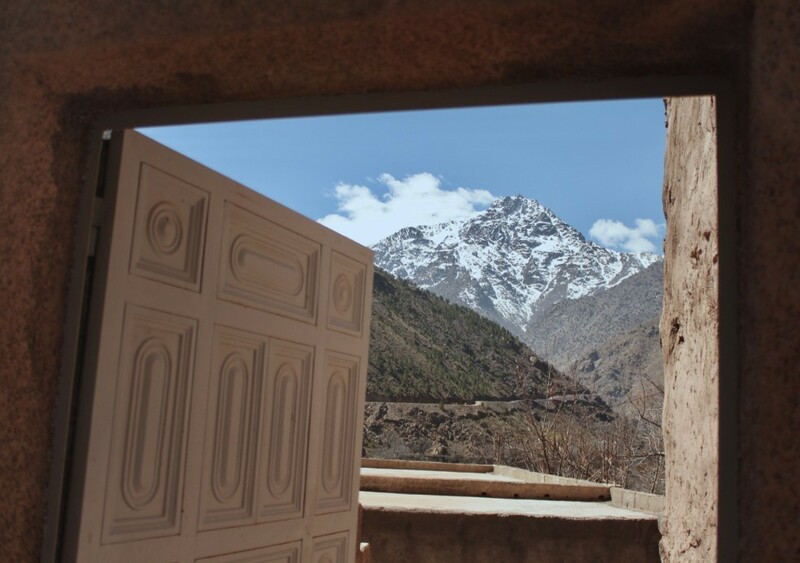 After breakfast in the refuge, we’ll take a four-hour descent down the valley back to Imlil, where we’ll have lunch and meet our driver ahead of our 1.5-hour drive back to Marrakesh. Today, we'll have the opportunity to celebrate the New Year in Morocco! Get in touch with us for great ideas and suggestions on how to welcome the New Year like never before! 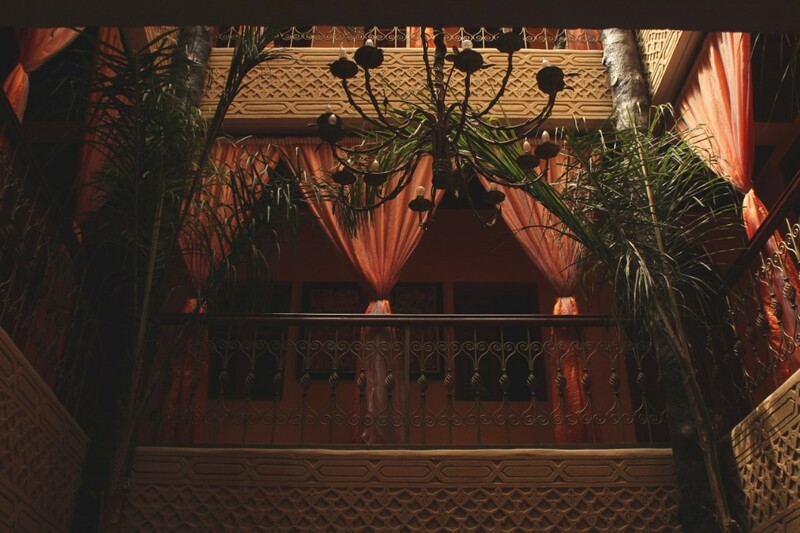 We’ll be spending the night at a comfortable Riad. 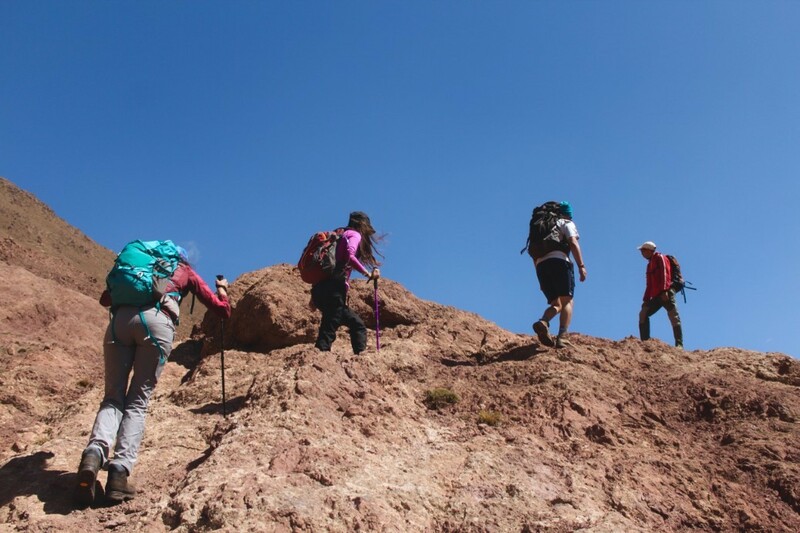 Depending on the time of year, the approach begins on rocky, well-defined trails with several steep but short sections. 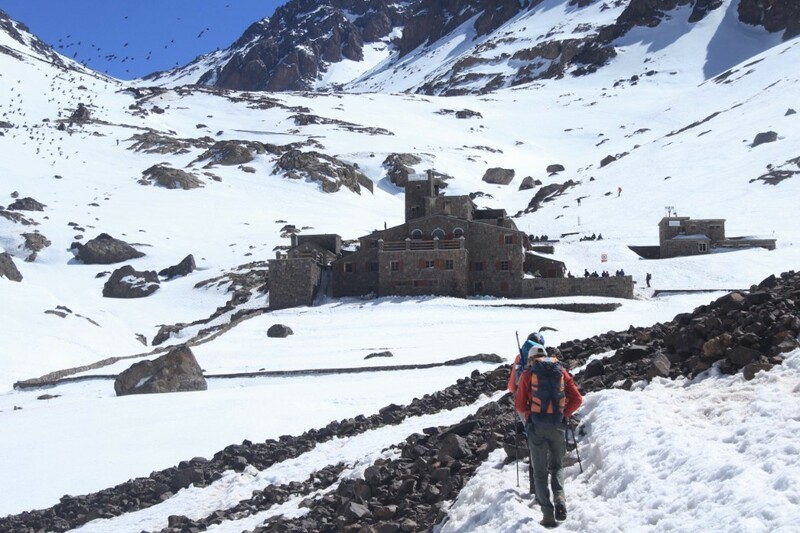 Halfway to the refuge (final stop before the summit), it flattens out and is mostly snow. From then on, snow slope after slope takes you to the summit. 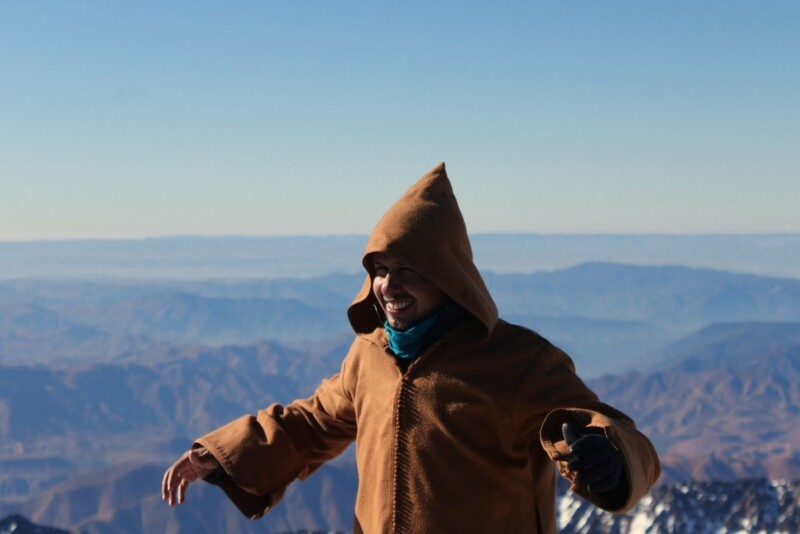 Being the highest peak in North Africa and the Arab World, you can expect quick and dramatic changes in the weather. Sunny and blue bird skies can quickly turn to extreme winds and cloud cover, so be prepared. January-April Best season to climb. Sunny during the day, cloudy afternoons and clear nights. 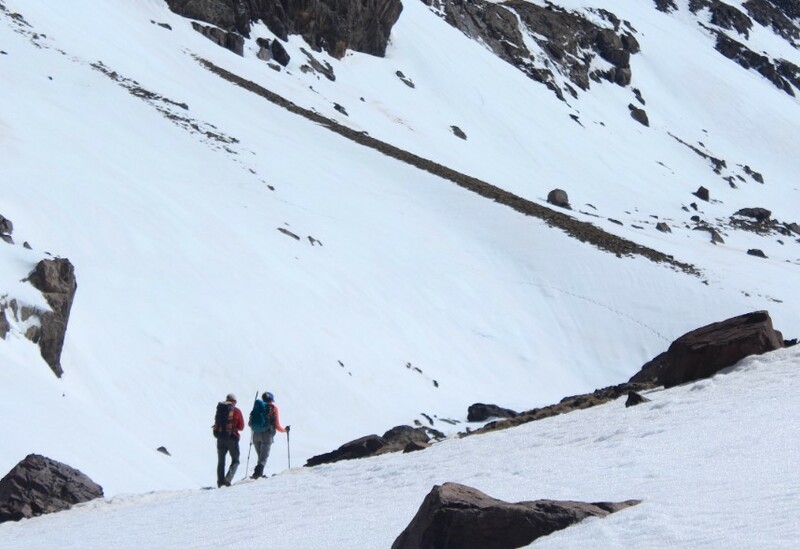 Snow is usually at its best form during these months and this makes for a fantastic climbing experience. May to September This season makes for a much harder climb to the summit as most of the snow has melted away exposing the rocky ground below. Prepare your knees! June to October Encountering rain or snow is rare. Warm sunny days, cold and dry nights. November & December November is slightly rainy on the mountain and is not the best time for trekking but still doable. December can also be a bit wet and is usually very cold on the summit. If you plan to trek during these months it is very important that you have good rain gear, and the correct layered clothing for the summit. One of the ultimate highlights of this trip is the food which is sure to give you comfort after a long hiking day! The Moroccan cuisine is extremely flavorful, filling and delicious and on this trip you will be fortunate enough to eat food cooked by locals which gives you an even more intense experience. Breakfast is usually basic including all the nutrients you need to give you energy such as eggs, porridge, jam, butter and amazing Moroccan bread. Lunch and diner include meat/chicken, vegetables, rice/pasta fruits and sometimes desert. 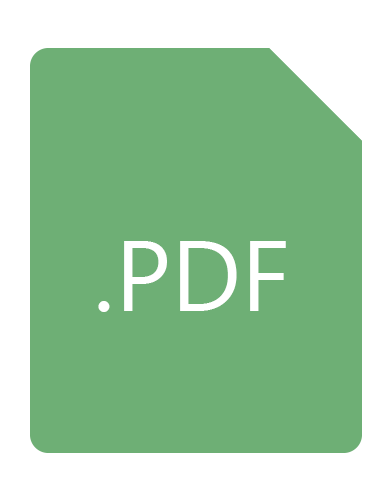 You will experience 3 types of accommodation on this trip each with its own charm and feel. In Marrakesh, you will be staying in a traditional Riad which is a small boutique hotel built in the islamic colorful design making you feel like royalty. 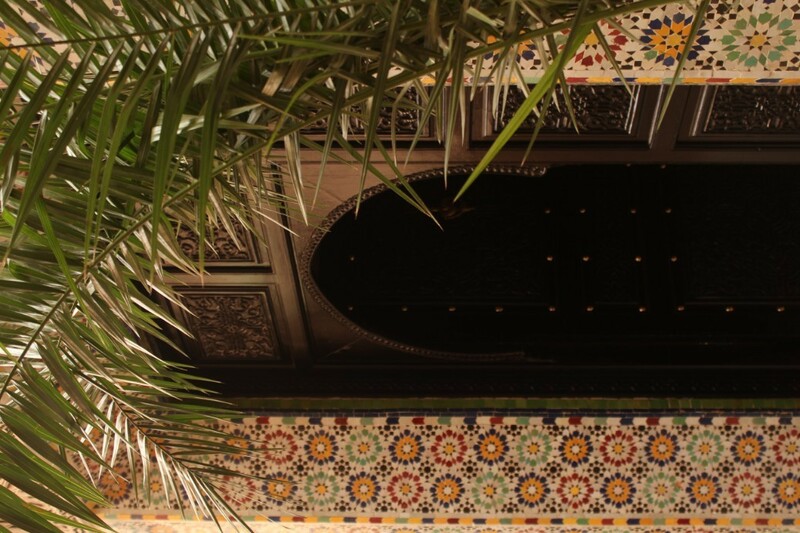 In Imlil, you will stay in a much basic Riad which is family run and cosy. On the mountain you will be staying in the refuge which is dorm style rooms with bunk beds that take up to 12 people. The common room where you will be having your meals and socialise is heated to keep you warm during your stay.